Crave NW at Spokane Valley, the Inland Northwest's premier food and drink celebration, will be held this Thursday, June 15 through Sunday, June 18 at CenterPlace Regional Event Center in Spokane Valley. Presented by the City of Spokane Valley, Crave NW is a unique culinary event that will showcase the creative talents of visionary chefs from around the region and highlight the flavors of the great Northwest. 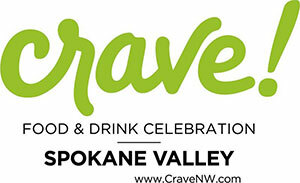 The complete schedule of Crave NW events can be found at cravenw.com. The Spokane Tribal Council congratulates the U.S. Air Force selection of Fairchild Air Force Base for 12 more KC - 135 tankers, along with three additional back up tankers. That decision will make the 92nd Air Refueling Wing the largest tanker fleet in the Air Force, while adding 400 new jobs to the base. Fairchild has experienced continuous growth as nine other tankers were transferred in March from Kansas. These moves are expected to add $20 million annually to the local economy. Spokane Tribal Chair, Carol Evans stated, "It is exciting to see this economic growth on the West Plains. The Spokane Tribe has enjoyed a great relationship with Fairchild Air Force Base, as we have both planned for future growth. Our Spokane Tribe Casino is under construction, adding hundreds of jobs to the local community." Between Fairchild and the Spokane Tribe, the West Plains have seen more than $75 million in construction and development this year. The Spokane Tribe celebrates the job creation and boost to our local economy. For more information on the Spokane Tribe Casino construction, visit spokanetribecasino.com. Ed and Beatriz Schweitzer have made a $200,000 commitment to fund College Success Foundation (CSF) programs for more than 2,200 students in Spokane and Yakima for the coming school year. This includes 1,200 middle and high school students in Spokane and more than 1,000 middle and high school students in Yakima. The investment will support operations, college readiness, college access, and career exploration programs for CSF programs in Spokane and Yakima. This gift is the second major investment the Schweitzers have made in CSF programs, since their initial gift in 2016. In Spokane and Yakima, CSF serves students in 13 schools with large populations of low-income students, starting early to build awareness of college and career choices. In partnership with Spokane Public Schools and the Yakima School District, CSF staff provide a pipeline of year-round college readiness, college access and career exploration programs to students at three middle schools and five comprehensive high schools in the Spokane School District and at three middle schools and two high schools in the Yakima School District. For information about CSF - Spokane and Yakima, contact Regional Executive Director Susan Joseph Nielsen, at snielsen@collegesuccessfoundation.org or 509-991-9151. Vintage Spokane, returns for its sixth year on Sunday, July 23, bringing more than 50 wineries and gourmet food to the Davenport Grand Hotel. 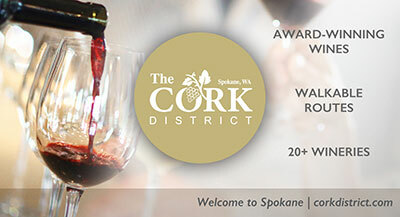 This year's Vintage Spokane will once again highlight the award-winning and up-and-coming wineries and restaurants throughout the Northwest. Attendees will have the chance to sip wines from over 50 of the region's most celebrated wineries - including Va Piano Vineyards, Frichette Winery, J. Bookwalter, L'Ecole No. 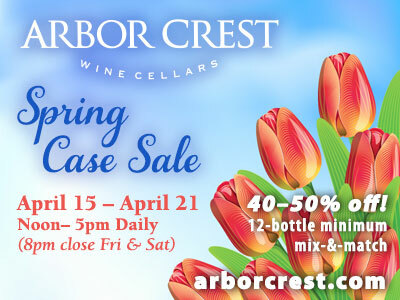 41, Robert Karl Cellars and Townshend Cellar and others - and sample delicious culinary options from award-winning local restaurants like Table 13, Post Street Ale House, Palm Court Grill, Safari Room and more. In addition, there will be live cooking demos from top Northwest chefs and more. This Wednesday, June 14, Spokane SCORE Chapter 180 presents a workshop, How to Write a Business Plan. Presented by Spokane SCORE Chapter 180, this workshop will help you learn how to write a comprehensive business plan and get assistance from a SCORE mentor to review and help refine your plan. Workshop will be held at the SBA Training Room, 801 W Riverside, Suite 444, from 8:30am to 12:30pm. Fleet Feet Sports, a small chain sports retailer offering running footwear, apparel, sports bras and more, is planning a store in Kendall Yards. The new store will be located in a portion of the currently under construction 'Bluff Building' next to Spa Paradiso on Kendall Yards' main street, Summit Parkway. Camp Fire Inland Northwest announces a grant award of $131,000 from the M.J. Murdock Charitable Trust to complete the modernization and expansion of the Lodge at Camp Dart-Lo. The 51-acre summer day camp, which is owned and operated by Camp Fire Inland Northwest, is heavily wooded and located on the Little Spokane River in north Spokane. Walker Construction is overseeing the $370,000 project. Construction on the building has already begun and should be completed by year end. Century West Engineering has hired Brett Holt as a project engineer. He has more than five years of civil engineering experience, including some large commercial airport and numerous general aviation airport projects.